Veterinary oncology is the treatment of cancer in companion animals. Many pet owners wonder why anyone would ever do this to their pet; both wondering if it is cruel and if it will just prolong suffering for their companion. In reality, the administration of chemotherapy and treatment of cancer in companion animals will most often make a pet feel better and improve their quality of life through relief of pain and discomfort associated with a cancer. The largest difference in veterinary oncology as compared to human oncology is the goal of treatment. In human oncology, the goal is a cure at almost any cost. It is acceptable to have a high risk of side effects, hospitalization and extensive interventions with the goal of 20 to 30 years cancer free life expectancy. The reality in veterinary medicine is that it is not reasonable to risk suffering to only gain a few years. A pet’s place where they are happiest is in their home with their family, and the goal of veterinary oncology is to palliate symptoms and ensure that the family pet is at home where they are most comfortable. Chemotherapy will cause some minor hair loss, increased shedding and whisker loss. Most dogs and cats have fur and not hair, and fur only grows seasonally. The only time the coat is affected by chemotherapy is when it is actively growing. Some breeds of dogs (poodles, Old English sheepdogs, and other breeds with a hair coat) will experience hair loss. The hair loss varies greatly patient to patient and is only cosmetic with no danger to the pet. The hair re-grows rapidly once chemotherapy is finished. The side effects of nausea, vomiting, diarrhea, weight loss and hospitalization are infrequent in veterinary patients. We use a half to a third of the dose that is used in human oncology and allow for more time for recovery between each treatment. Also, advancements in medications for nausea and vomiting, along with accurate in house blood work, results prevents many complication that were more commonplace in the past. If at any time a pet is not feeling well a treatment is delayed and doses are reduced to prevent further complications. Chemotherapy comes in many forms – pills, injections under the skin and IV injections. Some pets do better with pills given at home while others may be best served with injectable treatments. 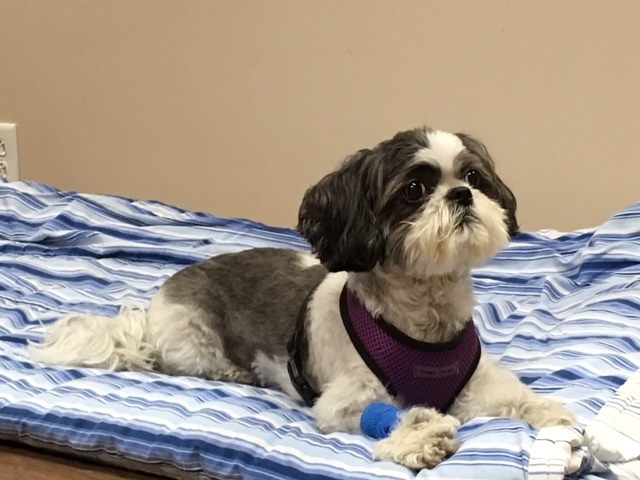 All treatment options are always discussed in depth, and each treatment is personalized as to what is best for both the owner and pet to achieve the best possible outcome. Cancer is a disease of the aging population and most cancers occur in pets that are older than 7 years of age. 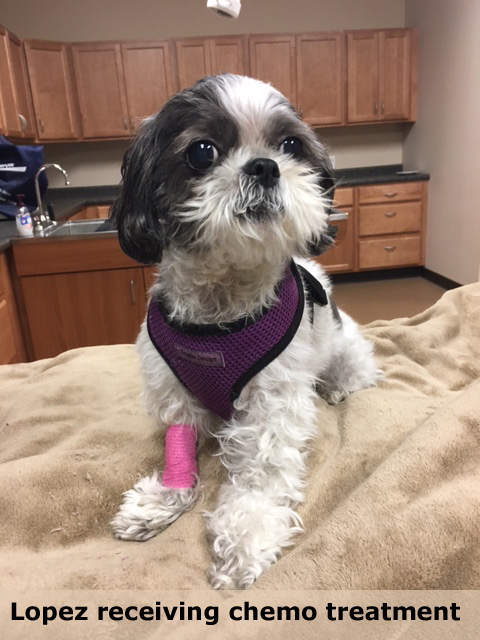 While chemotherapy is not the recommended treatment for every animal, any pet that is otherwise healthy with normal liver and kidney function can be treated. The saying that "age is just a number" is true for our pets too! Although it may not seem like a long period of time, providing even 1 additional year with a good quality of life for a pet is equivalent to providing an additional 7 years for a human.